Central America is the isthmian connection between North and South America, with Nicaragua being the largest of its seven countries. Nicaragua is topographically diverse, with beaches, lakes and volcanic mountains. The Caribbean Ocean serves as its eastern border with the Pacific Ocean at its western border. The capital city, Managua, is the country’s largest with 1+ million residents. It is the country’s hub of transportation, commerce, manufacturing and finance. Extreme weather, including floods, hurricanes and earthquakes, have plagued the capital city and surrounding areas, with Nicaragua being ranked as the world’s fourth most affected country for extreme weather. Weather-related infrastructure damage causes power outages – a tremendous challenge for residents and tourists alike. 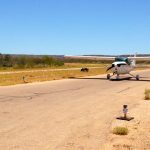 The Augusto C. Sandino International Airport is where the majority of visitors arrive and the only Nicaraguan airport which can handle instrument approach aircraft, critical when the weather is poor yet demand for access to the country is high. Over 1.5 million people visited Nicaragua in 2016, bringing $642 million dollars in tourism-related revenue with them. The country’s 78 national parks and ocean beaches are a natural draw for nature-lovers. 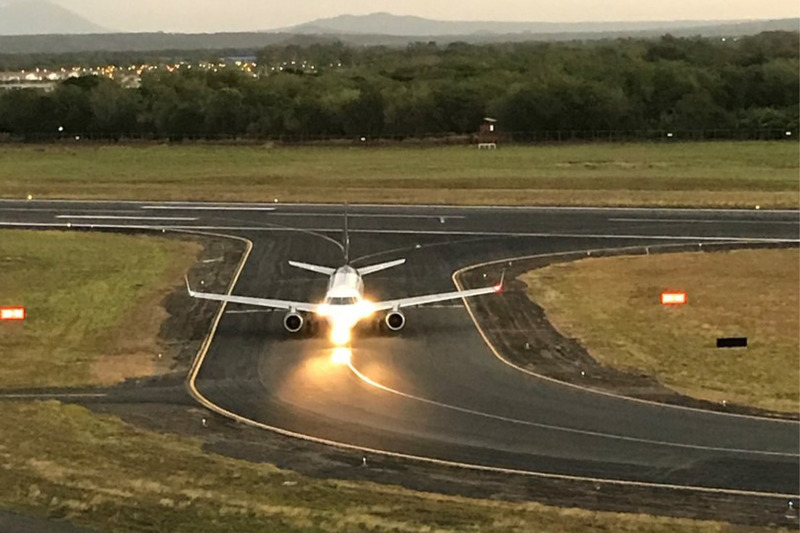 To keep pace with the 30% growth in the Nicaraguan economy directly related to the tourism industry, improvements were required at the Augusto C. Sandino International Airport. 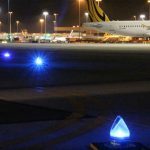 The airport administrative and management company, Empresa Administradora de Aeropuertos Internacionales (EAAI), mandated ICAO compliant illuminated airfield guidance signs to replace ageing unlit, metal signs. 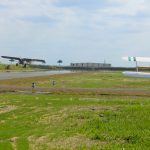 This upgrade would help ensure the joint civil-military public airport provided for the safe operation of aircraft and passengers once on the ground. 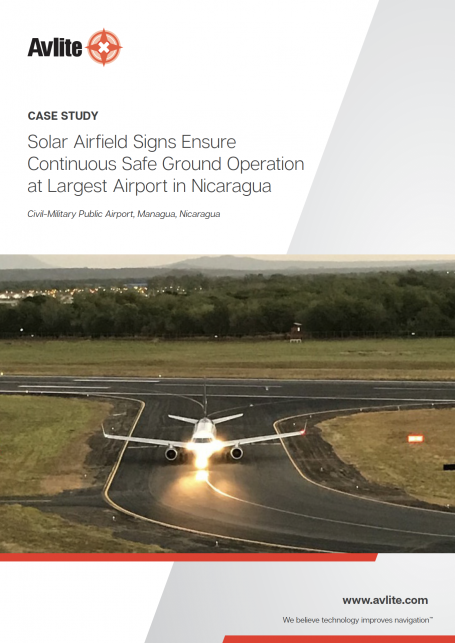 An added requirement was that the signs had to be extremely energy efficient to satisfy the already burgeoning electrical grid which served the Managua airport. 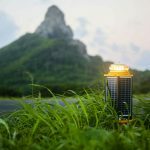 To meet the challenges of providing energy-efficient lighted signs, Avlite provided 22 solar powered LED airfield guidance signs, ranging in sizes from 600mm to 800mm. The Avlite solar solution was especially important as existing power supply at the airport was limited; no extraneous electricity was needed to power the Avlite signs. RF Control was also requested as part of the installation; this allowed the signs to be operated and adjusted from the control tower or other convenient location. Brilliant color definition allows pilots to precisely interpret critical information, in conditions from brilliant sun to harsh precipitation. Corrosion-resistant construction materials will provide years of maintenance-free operation. 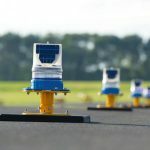 The installation of Avlite’s Solar Airfield Guidance Signs with RF Controller at the Augusto C. Sandino International Airport have proven to help enable the safe movement of aircraft around the airport while providing the highest quality, sustainable replacement for the airports’ existing signage.